SAN DIEGO — Fewer things are better than waking up on the weekend and heading to brunch. What if you could get some tasty brunch all while raising money for local firefighters? Well…. You can! 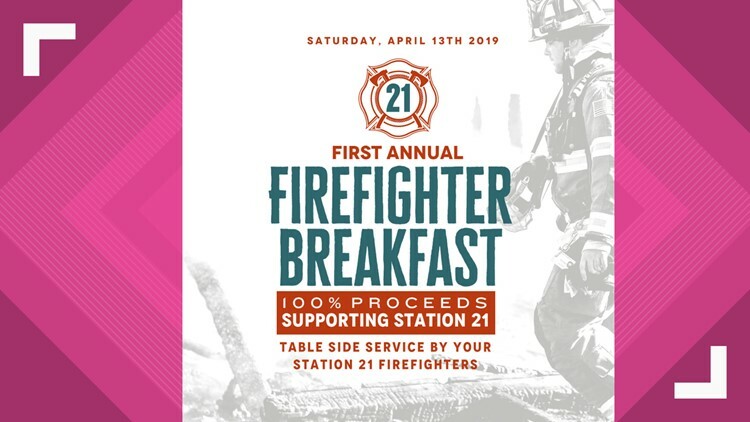 On Saturday April 13 at FIREHOUSE in Pacific Beach firefighters will serve all tables and 100% of ticket sales will go directly to Station 21. There will be three seatings of brunch, 9 am, 10:30 am and noon. Ticket prices (adult & child) include a soft drink, coffee or juice, entree and cinnamon roll. Station 21 says the funds raised will go directly to cancer prevention in firefighters because it is a top cause of death for many in the industry. Want to purchase tickets? Get them here.